Whew..can’t you just SMELL the new FRESH week! Yipeeeee! And it’s almost a new FRESH month. This is a big month in our house. Jaxon and I both have birthdays…and this little/BIG boy is turning 2! Oh F U N!!! Today I wanted to share with you a small change that I implemented a few months ago that has really made BIG changes for me. I love when little things can HELP so much. I have a little desky thing that I found on Craigslist and re-painted last summer. I have shuffled it all around my home…yet never found the right “home area” for it. That is…until I started seeing ideas about creating a message center in your home. Hmm…message center?? What is that all about?? The whole concept is an area for sorting items…organizing items that you need as you come and go from home…and for organizing important things like keys…mail…shoes…bags…etc. Most of my “uses” are really common sense for most people. I have this thing….about taking the “LONG” way around to figure things out…and this was really major for me. Uh…hello Tiffany! I LOVE how functional this area is now. And all I did was rearrange a few things. I DID NOT purchase one new thing to create this area. Free. Fabulous. And USEFUL. Awesome! ♦Junk mail does not make it to my desk…or any other area of my house for that matter. I chunk it on that desk…and it doesn’t move until I can filter it…trash it…and GET RID OF IT! ♦Important things like library books are placed there…so my MAMMA BRAIN doesn’t forget to grab it on the way out the door. ♦I can place important reminders on my chicken-wire memo board so that they are visible daily…and keep me REMINDED! lol! ♦A mirror is awesome there too…because sometimes I need to know that I look FRUMPA-LUMPAGUS…and should FRESHEN up before being seen in public!!LOL!! ♦I really utilize this area before Jaxon leaves for visitation weekends with his Dad. On the morning of the day that he leaves…I start piling all of the things he will need on this desk such as: his nebulizer…medications…clothes that we might have from his Dad’s house…important paperwork to be shared…or just anything…headed out the door for the weekend. Seriously…this helps the transition go very smoothly. And I am less likely to forget important things which really cannot happen…because he will be traveling 2 hours away. Love the shoe organizing…you could so spray paint a cookie sheet white and make one! Then add a table you are not using coupled with a few storage boxes…and a few memo board squares. CUTE! Totally love the magnetic strip for important objects such as keys, scissors and flashlight. GENIUS! This is a cool idea for trapping unwanted dusties and mud clumps from shoes. BUT…this would not work in our house. Not now anyways. Can you just see all of these rocks scattered all over my house? I CAN!!! Ha ha ha. But it’s very posh for non-toddler homes! Teee-Totally love these shutters. Hello cute easy organizing for a message center! Hmmm…I need to find some small shutters like these! LOVE IT! Well darlings…hopefully you have a few ideas and inspiration for a message center of your own! They really are wonderful…and make life…that much organized…and simplified! PINKY PROMISE!!! So it’s been MONTHS since I first mentioned my living room floor project. And it feels like that darn floor took months. I had to work on it little by little when Jaxon wasn’t at home. He has asthma and paint fumes and polyurethane fumes are a sure asthma trigger. And well…we don’t need any of that nonsense. Sooo….little by little I worked and painted. And it is FINALLY done. It has been done for awhile but I hadn’t made time to take pictures. That room is a pickle to photograph. There is absolutely NO natural lighting or windows. Uughh…aggravating. gasp…pass out…and totally disapprove of my MAMMA concrete painting! It had BLUE shaggy stained DISGUSTING carpet that I could no longer deal with. I just knew that painting it had to be better than that stinkin’ CARPET. So I started cutting…ripping…and pulling out carpet until I had this! Bare floors….WHAT A MESS! Looking at these pictures made me not breath a little…how in the world did I not freak out with this MESS! LOL! you forget how LONG the process was…and how you put up with the NON-FINISHED areas. I was literally on my hands and knees…swirling and mixing paint and splotching it with a rag. It gave it a stained look. I used shades of brown, maroon, red, orange and highlights of turquoise. A HODGE PODGE of colors! LOL! And as I mentioned before…I would move everything out of an area…paint it…and move things back over. I shifted and painted the whole room veeerrrry slowly. I finished it all off with a coat of polyurethane to seal and protect it. Other than the cost of polyurethane…this floor was almost free. I probably lucked out because the concrete was already sealed??? It "took" the paint perfectly…and I’ve moved my furniture all around…and it’s not at all scuffed. Holy crackers. And it’s a breeze to clean. 100 gazillion million times better than disgusting old carpet. I thought since I had pictures of my floor and living room I would highlight a few decorations. This door is one of my favorites. And yes I’m a crazy lady with an old door behind my couch. Just wait until you see my other couch on the other side. He he he…but right now…let me tell you about my fab door. I found the door at the local land fill…seriously. Already painted "groovy" blue. I loved it at first sight…but it was SUPER heavy to haul!! LOL! I made my starburst mirror from a thrift store mirror and BBQ skewers. Frugal FAB! Now…on to the other couch…. And I should add that Jaxon approves of his new living room fabulosity too! So once again….my super cool floor…. The moral of this blog post: never be afraid to try something. I had no clue if this would work…but considering the cost of new flooring…it was worth a try. The possibilities are just limitless with this. Howdy dooooody! Hope everyone is having a MARVELOUS day! 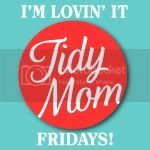 This week I came across some VERY CUTE ideas for creating cardboard FUN ITEMS for kiddos! So caaaauuute! I remember when I was little that my brother and I LOVED cardboard boxes…and we could really make-up some WILD things to use them for! Visit the Parents.com article to see all the ideas and tutorials by clicking HERE! Well…ummm…we should just get down to it….to my ummm little confession. You see….awhile back I so proudly boasted that I had CUT OUT cokes and coffee. And yeppers…I did awesome…for about a week…and then I totally FELL on my hiney…so-to-speak. Don’t you hate it when you brag about something…and then you later have to eat crow??? LOL! I LOVE coffee. Heck I have my own espresso maker. Yep. I ♥ coffee a lot. And I ♥ cokes just as much. It’s an awful awful battle. LOL. Lately I decided to quit bashing myself about it…I have much BIGGER things to worry about…so I will drink my coffee and coke…in moderation…hopefully…and just be HAPPY! I am super excited and happy to share that I found a YUMMO and DELISH coffee for a SUPER price. Every time I would buy my Starbucks or Duncan Donuts coffee I would almost choke. Almost $9-10 clams for…a SMALL bag of COFFEE???? And yes..there are the “other” brands. But I need GOOD coffee. I’m a poor single Mamma…but coffee…just can’t be comprised. Soooo reluctantly….I started to experiment. I knew that surely I could find a CHEAPER yet TASTEFUL alternative. And do you know what…I found the JACKPOT! And let me tell you what the price is…. Holy crackers isn’t that just AWESOME! I can buy coffee and a bag of DIAPERS for what I was paying for the other brands. And SCOUTS HONOR… it is JUST AS TASTY as the other brands!! I find mine at my local Wal-Mart…and I’m not sure where all it is in stock. It’s well worth a try!! Especially if you are a coffee addict trying to save a few bucks!! Helloooooooo lovelies! Happy middle of the week!! I’m super happy to share with you our toddler activity for this week. We had a BLAST making these! I saw similar projects using white coffee filters. But….wouldn’t you know that I only have the natural, brown coffee filters….so that wasn’t going to work. So I looked around my home to find something about the same texture that would “bleed” colors nicely. Viola…paper towels! They turned out just as PRETTY as I had desired! I LOVE all the gorgeous colors! I used a small saucer to trace circle shapes onto one side of a stack of paper towels. I folded the left-over half of the stack of paper towels and made heart shapes. You can make all kinds of shapes! We then began coloring on the shapes with markers. At first I had to help Jax hold his shape and color…but after awhile the little smart-britches figured out how to hold it and color simultaneously. This boy LOVES to color! As you can see!! He very much gets into his projects. After you have colored your shapes as much as you like, then grab a cup of water with a paint brush and begin “painting” the shapes with water. I just love these pics….notice Jax’s piggies…he’s really curling them up in all that concentration. LOL! Note: I did not lay anything under the paper towels and it did not bleed. My table is old and wood so I wasn’t really worried if it bled through. You might protect your table if you are worried about color bleeding through. I could not stop taking pictures of how pretty they turned out! I just love them! Did I already say that??? LOL! After they dried we hung them on our front window with a little dab of glue stick. You coult tape them up or use whatever other type of adhesive to hang them. He even did a HAPPY dance once they were all up! I really LOVED this project. My desk faces this window and every time I look up I see our little bits of colorful SUNSHINE! We had SO MUCH FUN making this project and I hope you do too! !